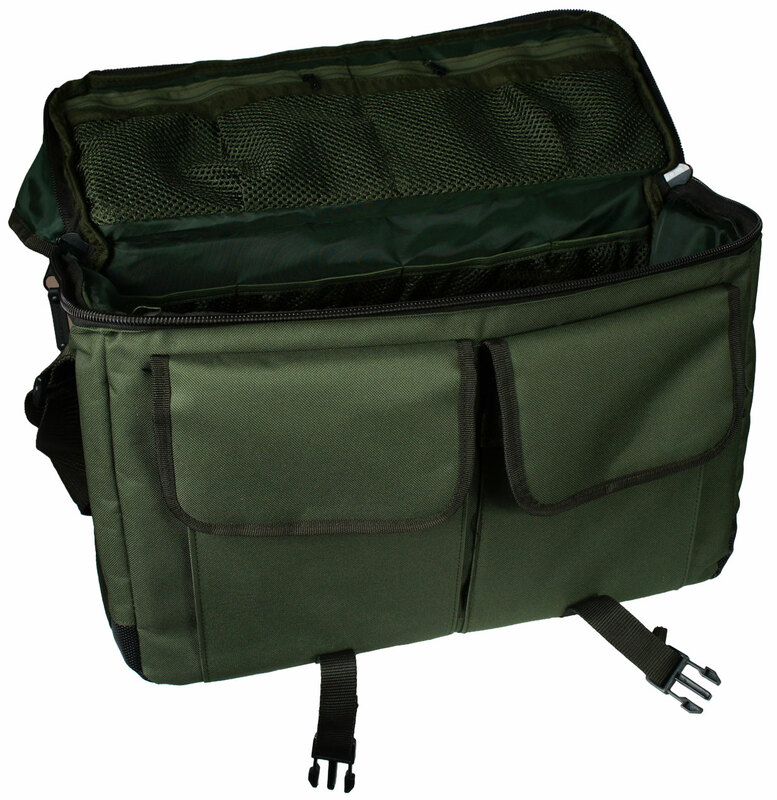 First up is the Carron Standard Boat Bag, a well designed piece of luggage that will no doubt prove very popular with all types of angler. It combines all the classic features of a game fishing bag with a few of the latest innovations from the Carp and Coarse luggage market to give a very functional and well though out bag. 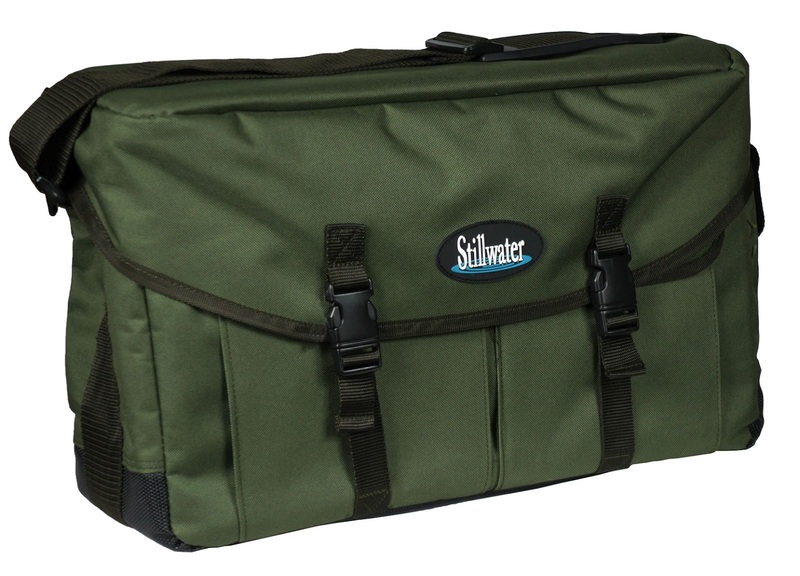 Although called a boat bag this size would be equally as useful to the roving bank angler. Finished in a durable cordura fabric in a subdued green colour, the outside of these bags has been treated with a water repellent coating, much like a new jacket or waders has, which makes water bead up and run off rather than soak in, increasing the weather resistance of the bag. This "DWR" coating can be reapplied as it wears off by applying a product such as Fabsil or similar periodically. 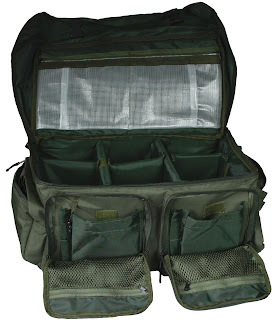 Internal mesh pockets for fly boxes, reels and spools etc. The slightly bigger Carron Deluxe Boat Bag is a little larger and wider, with a versatile internal divider system that can be configured to the individual anglers needs and a moulded base which is ideal for lying in the bottom of the boat on a rainy day. The roomy interior and many sizeable pockets provide plenty of organised storage so you can easily find all your bits and bobs and although capacious the bag is still easy to carry when fully loaded unlike some of the monstrous sized bags we have seen in the last few years! It is treated with the same DWR coating and I am sure this bag will appeal to Predator anglers as well as those flyfishing from the boat. 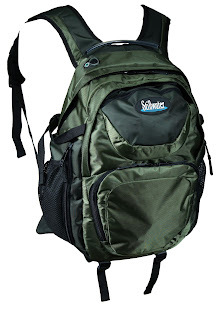 The popularity of these backpack/chestpack systems has boomed in the last few years and it is easy to see why they have become so popular amongst anglers who like to wander far and wide in search of the best spots. River anglers, Salmon anglers and those wandering the banks of large reservoirs all love the benefits of having everything to hand, especially when wading. 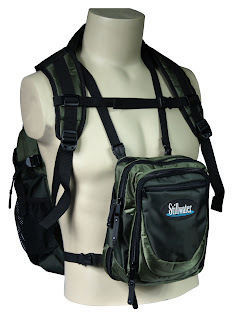 And when you are not fishing the chestpack is removable, allowing you to use the rucksack normally and even in public! Indeed I have been using one of the early samples of this bag daily for over two years, lugging laptop, lunch and all sorts of other heavy stuff to work as well as travelling all over the country for meetings and of course fishing. The chestpack can also be used independently of the backpack for when you want to travel light. 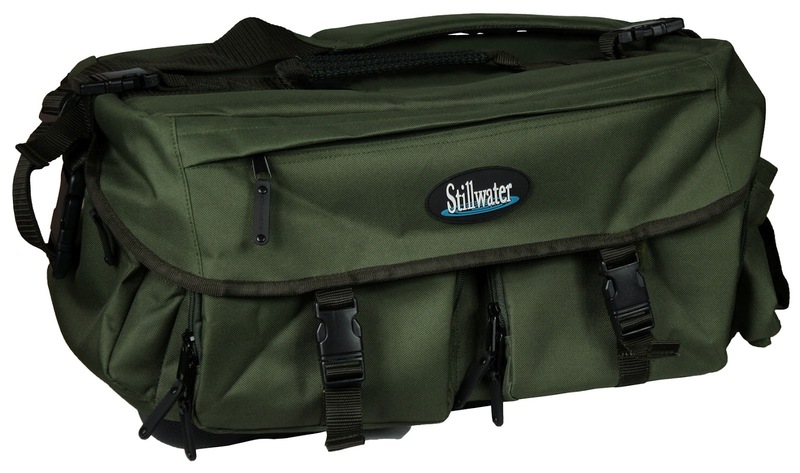 Fully adjustable for a "one-size-fits-most"
To see the full range of Stillwater Carron luggage, including rod tubes, boat seats and game bags, check instore or on our website!